Decide how thick you want your mulch to be (2" is average). For new landscape beds, 4" of mulch is recommended. If you are just top dressing a previously mulched bed, you may wish to use as little as 1" of mulch. Using the Mulch Calculator to the right, you can figure how many cubic yards of mulch, soil or gravel to order. If you still have questions, please call our corporate office at 559.625.9426. 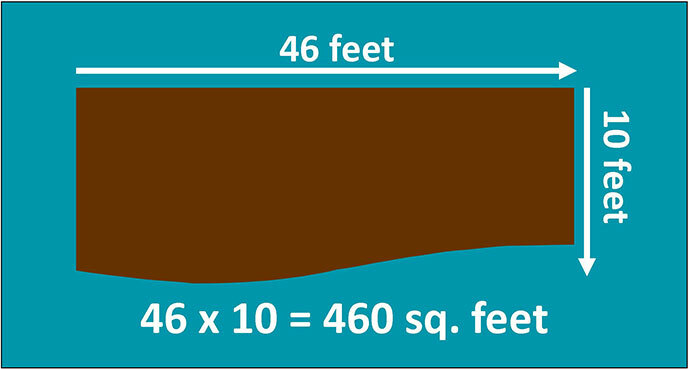 If you have the total area calculated, we'd be happy to help you figure the amount of mulch, soil or gravel you will need. How much mulch do you need? User our Mulch Calculator and find out. Enter dimensions of the area you want to cover as well as the desired depth, click Calculate and the results will appear below.